Our restaurant “Infang” was rebuilt in 2011 and has since enjoyed great popularity. The building was built entirely of wood, glass and stone in a modern alpine ambience. The love of enjoyment and the exquisite care in the selection of raw materials and products are what turn our food into gourmet dishes. Our kitchen and service team pampers our guests with traditional delicacies that we always modernize and adapt to the taste of today. Down to earth, creative and with an international touch, we pamper our guests from the kitchen and the cellar. 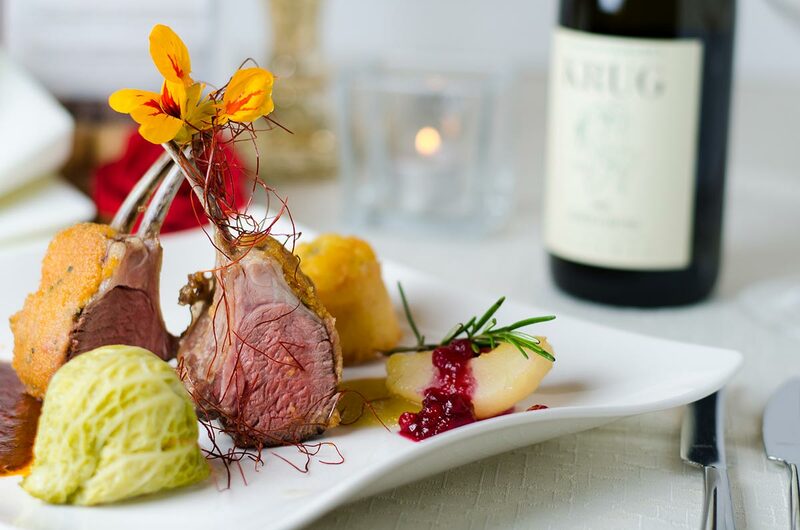 The restaurant is managed directly by the Auer family by the diploma motel Ferdinand Auer. Twice Annually there is a wine tasting evening with top Austrian winegrowers. Our menu also includes pizza and a variety of takeaway food.